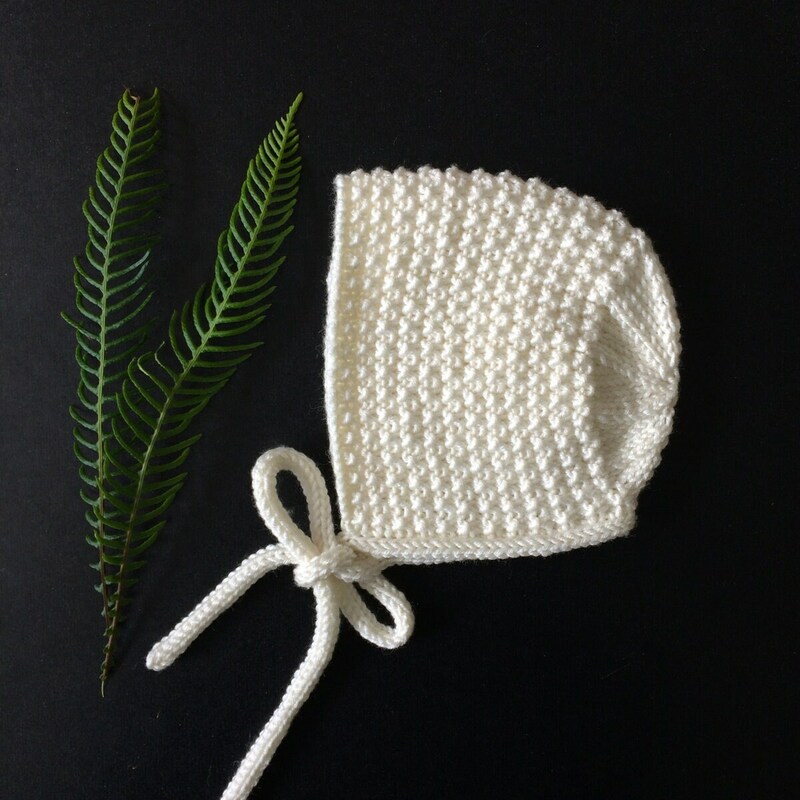 The Inga bonnet is a stunning vintage style baby bonnet hand knitted with a luxury merino, silk & cashmere mix yarn. 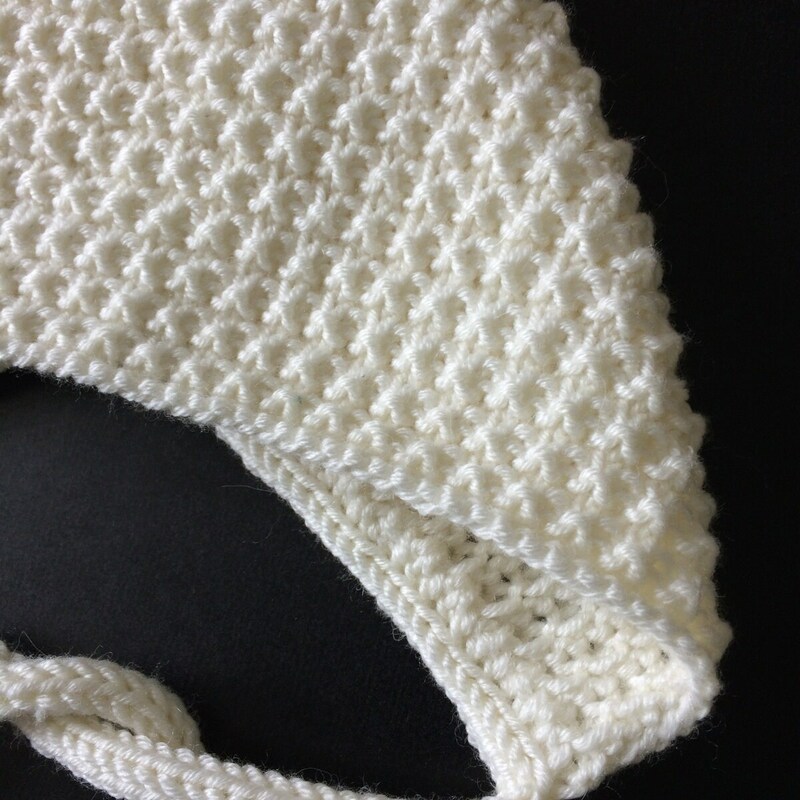 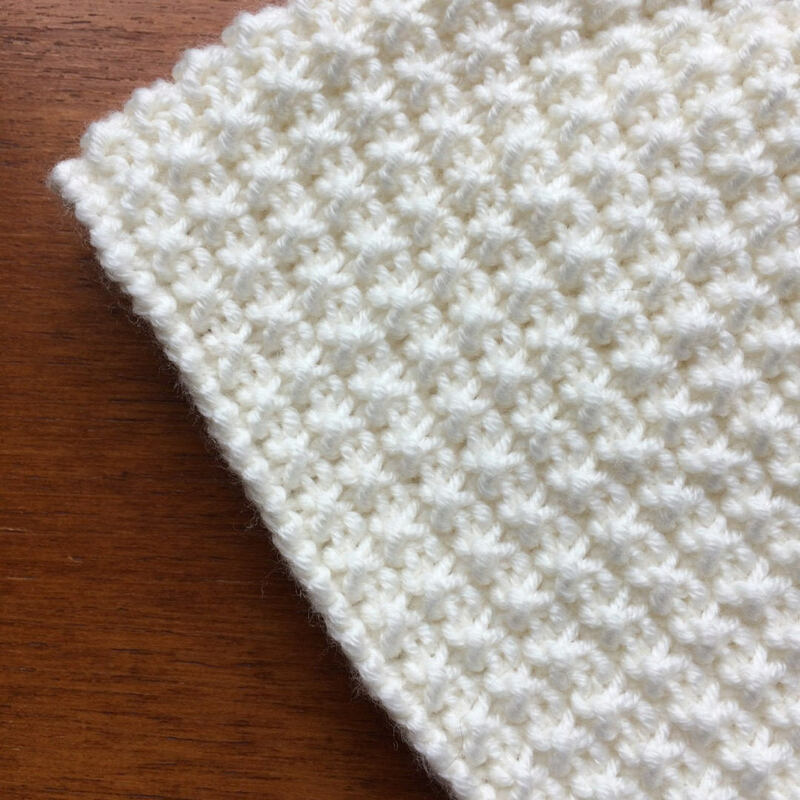 The bonnet is soft and warm and has a beautiful textured knit design. 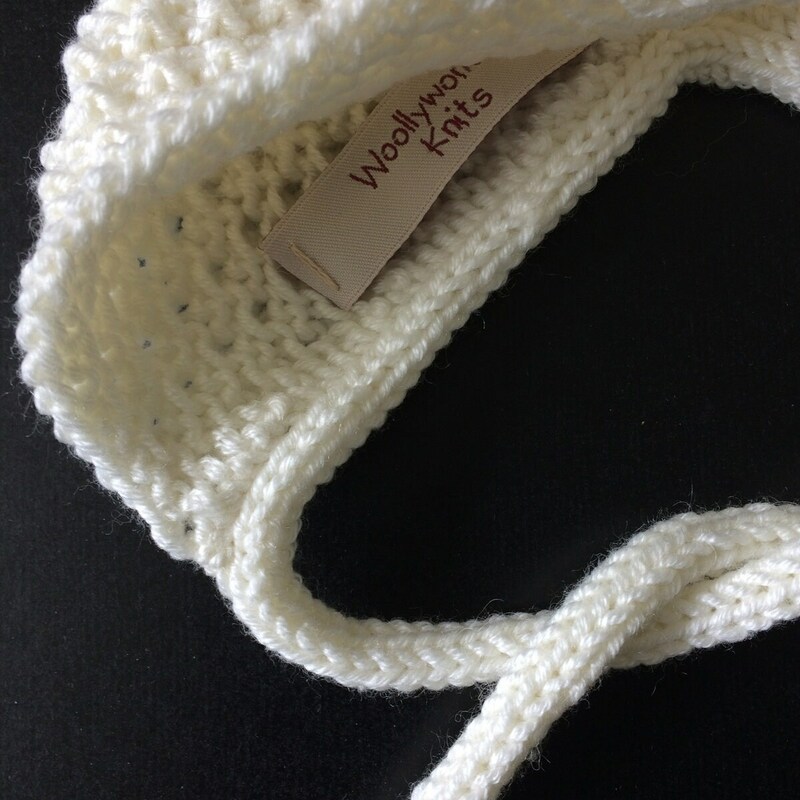 It fastens with two knitted cord ties. 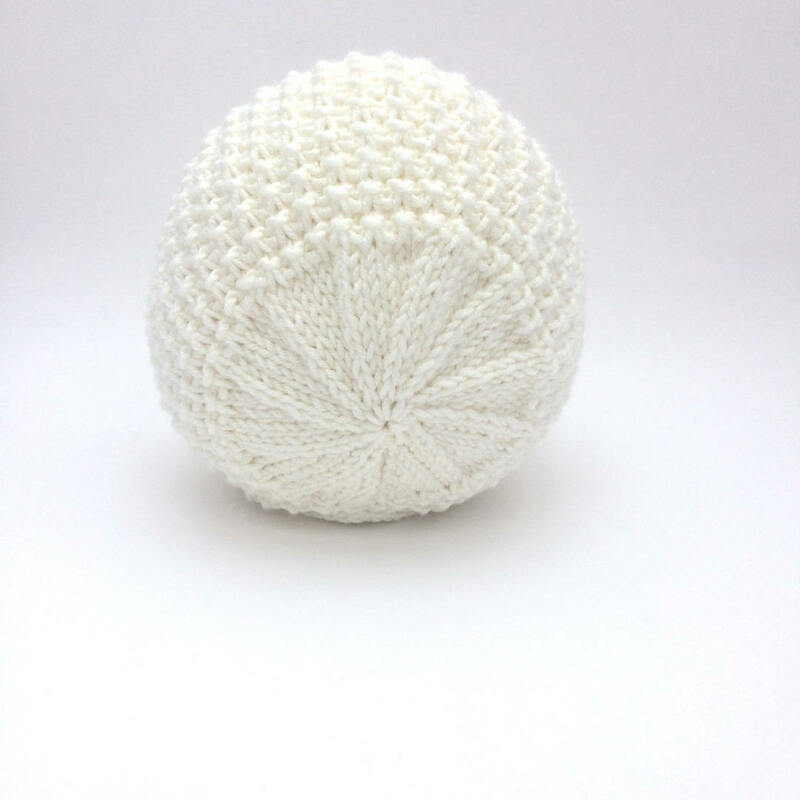 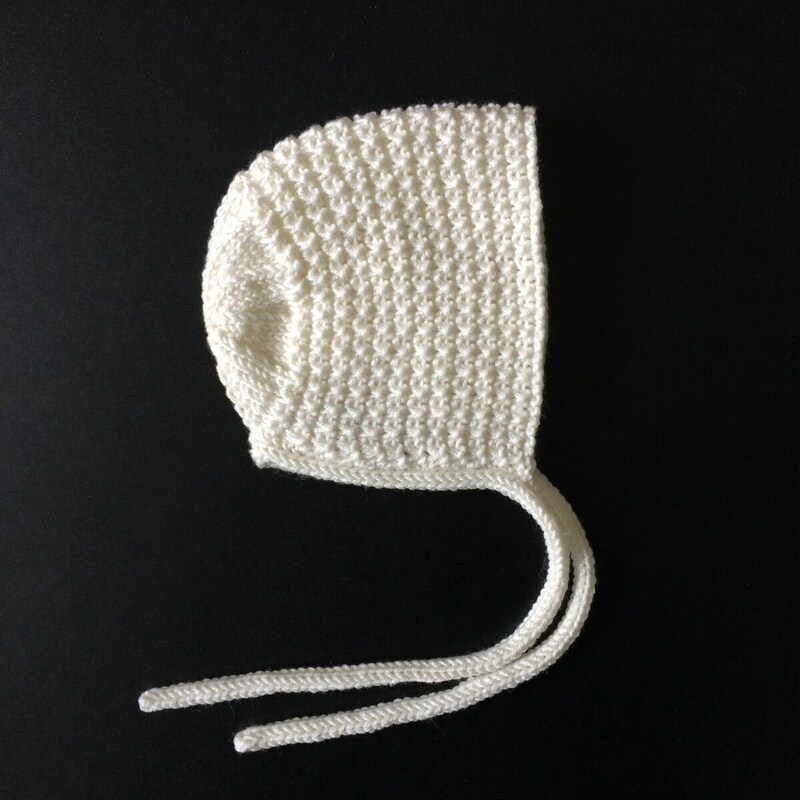 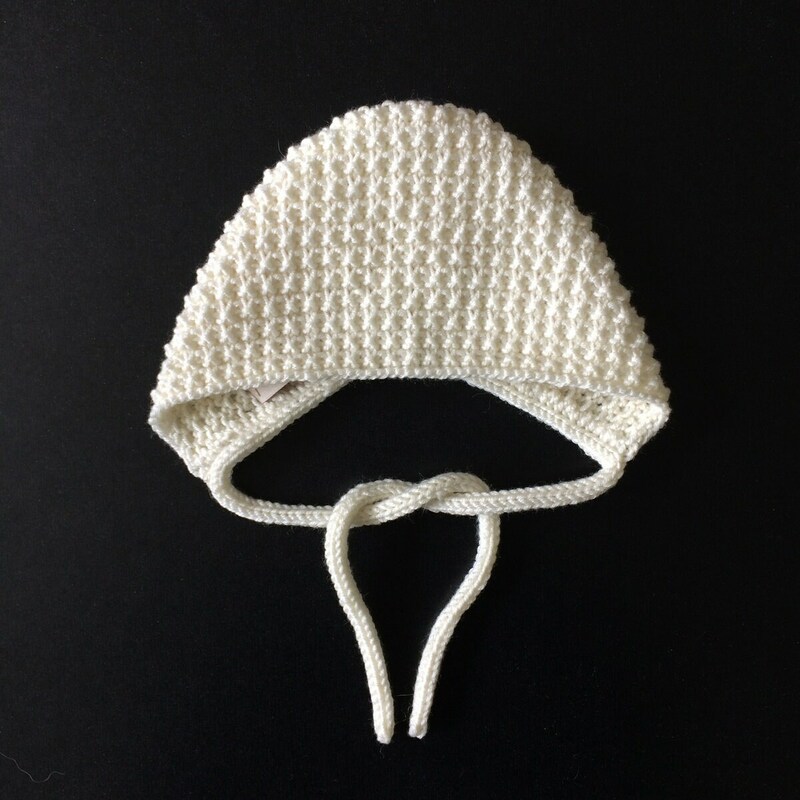 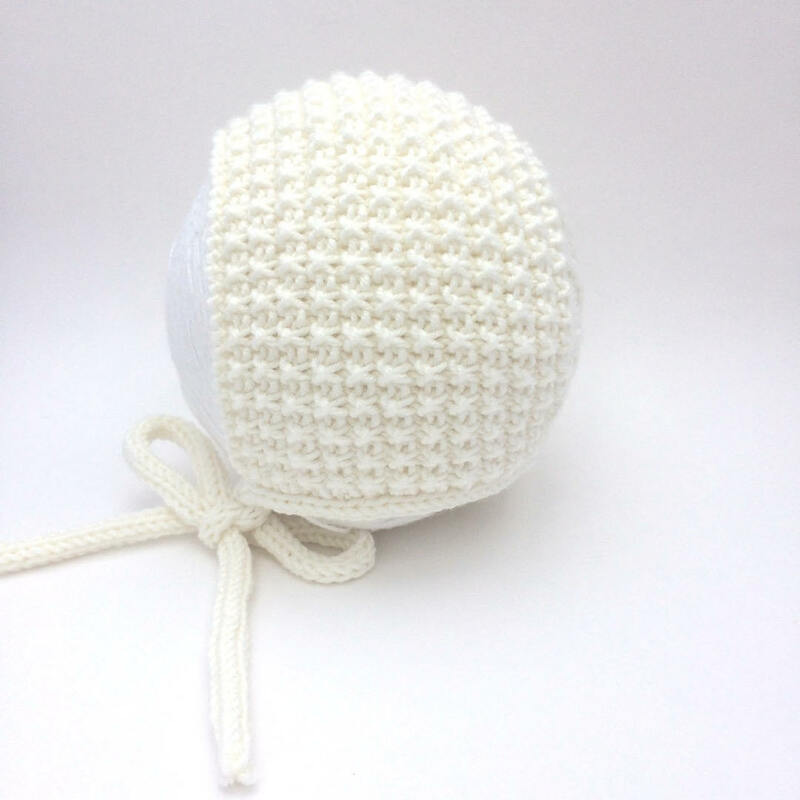 Ideal gender neutral gift for a new baby or super cute hat for your own child.